Mr. Ye Hui leads the team in examining the construction work of Shenzhen Grit Academy. Mr. Ye Leads the Team in Surveying the Conditions of the Construction of Grit Academy In the morning of May 9th, the committee member of Guanhu Avenue Party Labor Committee, Vice Director of the Office, Mr. Ye Hui, along with members of the Office of Public Affairs, the Center of Public Service, investigated Grit Academy on site, which included seeing the construction progress of the school Mr. Ye made it clear that during the current transition period of Longhua economy, the people are in a greater need of better education than ever before. Education is the basis of a country, and Guanhu Avenue will provide full support in the construction of the school. The Italian Art education ranks high in the world. Italy has over a hundred top-notch art schools; it is the best destination for students studying painting, sculpture, and design all over the world. Grit Academy elaborately builds Italy Art Elite Classes. We aim at developing students’ specialties, eliciting students’ potentials, and inciting students’ creativity. The courses including high school classes, Italian language classes and art classes. We are dedicated to helping the students to study in their ideal schools. Italy is a country with a long history and a rich culture. It became the center of art and culture in Europe after the Renaissance. Praised as the “capital of art” of the world, Italy enjoys worldwide reputation for its colorful art and music. The Italy Music Elite Classes of Grit Academy is developed according to the Italy art teaching outline. We have professional teachers in art to build all-round musical talents. Students also have the opportunity of being on exchange trips and young ambassadors to Italy etc. and gain first-hand experiences in the art capital of the world in person. As the leading film school in North America, Toronto Film School has an extensive collection of majors, ranging from film making to interior design. Professional skills as a main direction, insisting the idea of practice and focusing on practical knowledge. Grit Academy opens the Toronto Film School Express Elite Classes, which customizes the curriculum content according to the student’s specialties. We dedicate to building a colorful learning environment with its emphasis on practice and innovation. We commit to help students to apply into the Toronto Film School and fulfill their dreams. Enrollment Requirements: Hong Kong/Macao/Taiwan citizens. Students above a Zhongkao score threshold may attend school interview to be admitted. We arrange classes that target the Hong Kong, Macao, Taiwan Exam content and select teachers with experienced teaching for Hong Kong, Macao, Taiwan Exam content. Enrollment Requirements: Middle School Graduates. Students above a Zhongkao score threshold may attend school interview to be admitted. Our Advantages: We have a team of teachers with ample Gaokao teaching experiences who will aid the students to find the most sufficient study methods. They will make the students sufficiently motivated and be their best selves. Senior principle, children literature writer, executive principle. Master of education management at Beijing normal university, worked at Beijing Jianghua school, Nanyang international school and Yitian garden school in Shenzhen .Worked as teaching director, international director, and principle with plenty of management experience and creative, innovative ability. Profound cognition and understanding to education, still believe that education is a belief. Education graduate student in British, always visiting British, The British consulate is certified as an overseas promotion expert. Chief cooperation representative in Chelsea middle school ,the representative University of British Russell group in China, the representative in American ivy league education foundation and Official cooperation representative of the university of California, Northeastern University ,University of Massachusetts in China. With Senior international experience on teaching and education. Insurance Values: Participation of All, Sense of Service. We provide the insurance that fulfils the needs of the students and their family. Awarded to students who are from a poor financial background and industrious, outstanding, and displays good moral characters. For every student awarded, 80000 to 200000 RMB will be rewarded per year and assessed annually. Honor Award: delivers outstanding performance in the Badges of Honor activity. 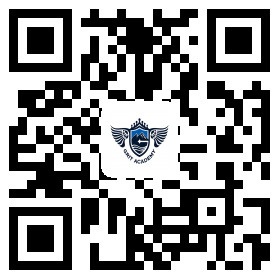 Every badge is rewarded 10000 to 50000 RMB. Teacher’s Award: Based on academic abilities, a 4.0+ GPA, the quota is between 5 and 10 per cent of the qualified. Rewards 10000-20000 RMB of scholarship per semester. Principal’s Award: Based on academic abilities, a 4.2+ GPA, the quota is between 5 and 10 per cent of the qualified. Rewards 20000-50000 RMB of scholarship per semester. Values: Rewarding Excellence, Encouraging Competition, Aiding the Qualified, Repaying the Society Principal’s Award: Based on academic abilities, a 4.2+ GPA, the quota is between 5 and 10 per cent of the qualified. Rewards 20000-50000 RMB of scholarship per semester. Teacher’s Award: Based on academic abilities, a 4.0+ GPA, the quota is between 5 and 10 per cent of the qualified. Rewards 10000-20000 RMB of scholarship per semester. Honor Award: delivers outstanding performance in the Badges of Honor activity. Every badge is rewarded 10000 to 50000 RMB. Scholarships and Aids of Grit Academy Based on the values of “Rewarding Excellence, Encouraging Competition, Aiding the Qualified, Repaying the Society”, Grit Academy has established the Principle’s Award, the Teacher’s Award, Honor Award and Elite Award. The awards are intended to reward those who perform well at school and motivate more students to put in their maximum effort. Setting the sail of fate, making a brilliant youth! RAISE YOUR SAIL OF FATE, AND THE BEST YOUTH! 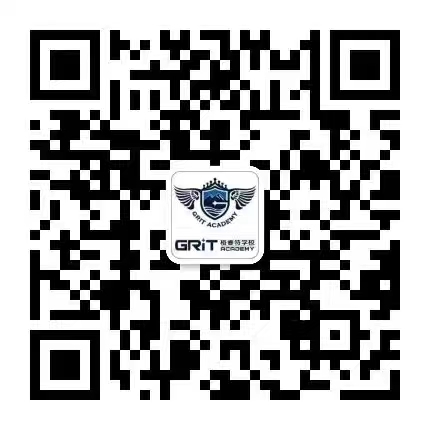 As the only sister school with Chelsea College in China, Grit Academy has devoted great resources into building the Grit-Chelsea Elite Class. Our cooperation provides the best learning opportunities for the students. The students are offered the option to study in Chelsea College in Britain and improve their overall qualities. Going to summer camps in Britain is more than just enjoyment; it is a valuable experience in life. Students can participate in international activities and gain immersive first-hand experiences of the local culture and people. This would improve the student’s abilities to live independently, add invisible wealth to their journey in life, enrich their mind, and develop a habit in seeing things in an international perspective. International exchange summer camps are a great way to complement with ordinary education, as it expands the viewpoint of the student and enriches their mind. It is a great way of furthering holistic education. Under the pressure of common education, students spend most of their time in class but rarely get the chance to go out of school and see the world as it is. International exchanges provide with the parents a new way to educate their children – through putting the students on their own and exercise their autonomy, which greatly imporves the students’ adaptive abilities. :World-class Math Competition: Waterloo International Mathematics Competition To students interested in Canadian education, University of Waterloo, the “MIT of Canada”, would not be unfamiliar. Waterloo University was founded in 1957. On the ranking of the most authoritative education magazine in Canada, Maclean’s, the University of Waterloo ranked 1st and 2nd for five years straight. The University of Waterloo is the Mathematical college in Canada, and is also the biggest Mathematical college in North America and the world. The University has numerous popular majors including Computer Science, Actuarial Science, Biological Information, Math/Accounting, Math/Business Administration, etc. There are a million applicants each year, but only 100 competent applicants can be admitted. School Environment The campus is innovatively designed into a novel style, with its enthralling environment and exquisite organization. Facilities like classrooms, dormitories, and the cafeteria are complete, fresh, and elegant.